Pope Benedict XVI has nominated Fr Prospero Grech to become a Cardinal. Speaking after the Angelus today, the Pope said he would convene a Consistory in which he was going to appoint a number of cardinals. "It is with great joy for the people of our islands, especially the Catholic Church, that amongst them is a Maltese priest, Fr Prospero Grech. Fr Grech is an Augustinian Friar who is a highly respected expert in Holy Scripture," the Curia said. He was born in Vittoriosa and is now 86 years old and resides in Rome. The Maltese Bishops said they "consider this appointment as a personal tribute to Fr Grech and also a recognition of the contribution that the Church in Malta has given and continues to give to the Universal Church. It will be a great pleasure for us to welcome and celebrate this honour bestowed on Fr Grech in the near future." Fr Grech was born in Vittoriosa in 1925. He studied at the Lyceum and served as a gunner in Home Guard of the University during the war. He joined the Augustinian Order in 1943 and was ordained priest in Rome seven years later. After studies in Rome and Oxford, he was appointed lecturer in Theology at the Augustinian Institute in Rabat in 1959 and became a professor serving at the Augustinian Institute in Rome a few years later. 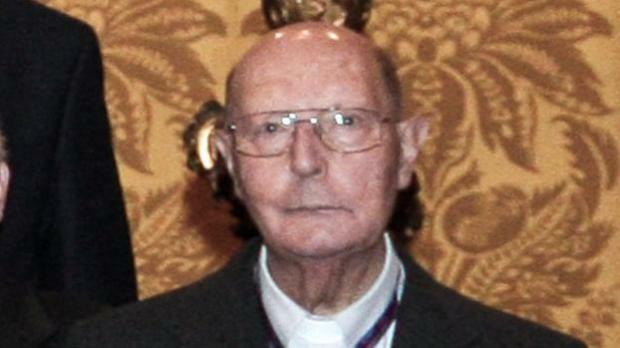 In 1970, with Fr Agostino Trapè, he founded the Istituto Patristico Augostinianum . Fr Grech is also a councillor of the Congregation of the Faith at the Holy See. Last December 13 he was made a Companion of the National Order of Merit by President George Abela. Fr Grech will be the second Maltese Cardinal. The first was Cardinal Fabrizio Sceberras Testaferrata (1757-1843), Apostolic Nuncio and subsequently an important figure in the Roman Curia. He was born in Valletta and was created cardinal reserved in pectore in 1816 and elevated to cardinal-priest two years later.